Publication: PLoS One. 2018 Jan 24;13(1):e0191005. There was significantly slower reading in PD compared with age-matched controls. PD patients read 11 seconds or 20% slower compared with controls. KD reading times significantly correlated with PD disease duration. Health related quality of life scores using the Visual Function Questionnaire correlated significantly with KD reading times. Although extremely important as a part of daily living, reading abilities are not typically assessed in the clinical setting. The KD test is one such test that can be readily used to assess ocular motor abilities necessary in reading that is relatively not impacted by the native language abilities. Background: The King Devick Test (KDT) is an easily and quickly administered bedside clinical measure which assesses attention, processing speed, and visual scanning capabilities and has been extensively validated as a sensitive and specific measure for evaluating sports-related concussion. KDT slows by an average of 5.2 seconds following concussion. Emerging evidence suggests that idiopathic REM sleep behavior disorder (iRBD) represents prodromal synucleinopathy in most patients. We analyzed serial KDT scores in patients with iRBD or RBD plus mild cognitive impairment (MCI) to determine the feasibility of KDT for detecting evolving changes in attention, processing speed, and visual scanning. Methods: Adult patients with RBD by ICSD-3 criteria with (iRBD) and with MCI (RBD+MCI) were administered the KDT in the Mayo Alzheimer’s Disease Research Center and iRBD prospective registry cohort. We analyzed KDT scores at baseline and one-year follow-up visits. Results: Thirteen patients were studied, 9 with iRBD and 4 with RBD+MCI. Mean age was 66.5 years, and 11 (85%) were men. The mean (± SD) KDT score of all patients at baseline was 57.8 (± 10.79) seconds, and at follow up was 57.8 (± 11.6) seconds. There were no significant differences in KDT scores between groups at both time points. Five (38.4%) patients scored worse at their follow-up visit compared to baseline, 3 of whom were RBD+MCI patients. Of those with worsening scores, mean change in performance was 9.1 (± 7.4) seconds. Conclusions: Over 38% of our RBD patients demonstrated decreased performance on the KDT, suggesting emergence of subtle impairments in attention, processing speed, or visual scanning functions. Future longitudinal studies involving larger iRBD and RBD+MCI cohorts with longer follow-up time will be required to determine if decreased performance on the KDT predicts phenoconversion from iRBD to RBD+MCI, and RBD+MCI to dementia with Lewy bodies. Evidence suggests that idiopathic REM sleep behavior disorder (iRBD) represents prodromal synucleinopathy in most patients. Over 38% of RBD patients in this cohort demonstrated worsening performance on the KD Test suggesting emergence of subtle impairments in attention, processing speed, or visual scanning functions. Future study will determine if this decreased performance on the K-D test predicts phenoconversion from idiopathic RBD to RBD with mild cognitive impairment (MCI) and RBD+MCI to dementia with Lewy Bodies. (ISI) were significantly longer in MS participants compared to controls (362 ± 103 vs. 286 ± 50 ms, P = 0.001), and were highly associated with prolonged K–D times in MS (P = 0.006). MS participants generated greater numbers of saccades (P = 0.007). VSQOL scores were reduced in MS patients with longer (worse) K–D times (P = 0.04–0.001) and longer ISI (P = 0.002–0.001). Patients with MS have slowed K–D times that may be attributable to prolonged ISI and greater numbers of saccades. The K–D test and its requisite eye movements capture VSQOL and make rapid number naming a strong candidate efferent visual performance measure in MS. The K–D test is a simple visual-verbal task that requires saccades and interleaved fixations. MS is associated with prolonged test completion times for the K-D test of rapid number naming. Slowing of K-D Test times is associated with longer ISI (intersaccadic interval) time and increase overall numbers of saccades suggesting a potential role for both eye movement and attention-related mechanisms. Prolonged K-D Test times and ISI also reflected worse vision-specific quality of life among MS participants. Eye movement abnormalities with electronic recordings showed the above abnormalities in MS even in the absence of clinically evident findings. The K–D test is an easy to administer, rapid test that may prove to be a helpful performance measure of visual disability; this is analogous to the concept that the timed 25-foot walk is a performance measure that broadly captures aspects of gait performance and mobility in MS. 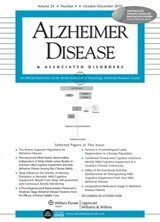 Publication: Alzheimer Dis Assoc Disord. 2017 Apr-Jun; 31(2):152-158. Current estimates indicate 5.3 million Americans are living with AD and the prevalence is expected to rise exponentially over the next 2 decades. A brief, non-invasive test that is rapid and easy to administer, and is sensitive to detection of MCI and AD dementia would be optimal for primary care or similar settings. Saccadic eye movement impairments are one of the most commonly documented forms of oculomotor dysfunction in AD patients. 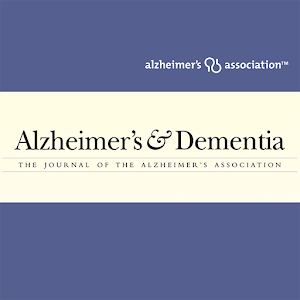 The objective of this study was to examine the utility and accuracy of the K-D in a sample of cognitively healthy older adult controls, and individuals with MCI and AD dementia from the Boston University Alzheimer’s Disease Center participant registry. The study revealed significant differences on the K-D total time score across the diagnostic groups as well as total errors. Both MCI and AD dementia subjected performed worse than controls on the K-D. The K-D was an effective measure for identifying cognitive impairment and distinguishing between patients with MCI and AD dementia from healthy older adults. The K-D performed equally well in detecting MCI and AD dementia from controls and therefore supports its utility in the detection of subtle cognitive impairment, and its application is not limited to severe forms of cognitive impairment. The K-D Test evaluates processing speed and visual tracking and performance on the test is dependent on saccadic eye movement. The K-D is an ideal test for many clinicians and clinical researchers in high patient and research subject volume settings. In addition to being brief and inexpensive, the K-D test requires minimal training to administer or interpret. The K-D was highly correlated with other well-established and validated neuropsychological measures of attention, visual tracking, and processing speed. Given that these measures assess mental abilities that overlap with those required for the K-D, the study provides evidence for good convergent validity for the K-D Test. The accuracy of the well-validated neuropsychological tests in detecting cognitive impairment improved in the presence of the K-D, highlighting the additive clinical utility of this measure. The K-D is a brief and easily administered test that may be an effective tool to detect cognitive impairment. 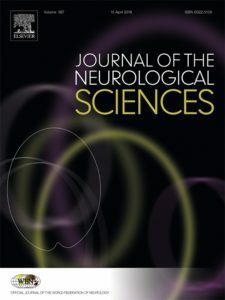 Findings suggest that the K-D may be an appropriate screening measure in fast-pace clinical settings, such as primary care offices, to assist in the early detection of cognitive impairment and guide referral for more comprehensive evaluation to ultimately facilitate early intervention. Visual impairment is a key manifestation of multiple sclerosis. Acute optic neuritis is a common, often presenting manifestation, but visual deficits and structural loss of retinal axonal and neuronal integrity can occur even without a history of optic neuritis. 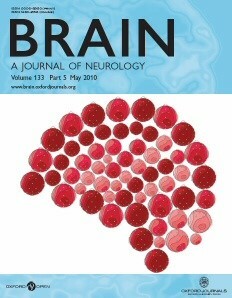 Interest in vision in multiple sclerosis is growing, partially in response to the development of sensitive visual function tests, structural markers such as optical coherence tomography and magnetic resonance imaging, and quality of life measures that give clinical meaning to the structure-function correlations that are unique to the afferent visual pathway. Abnormal eye movements also are common in multiple sclerosis, but quantitative assessment methods that can be applied in practice and clinical trials are not readily available. 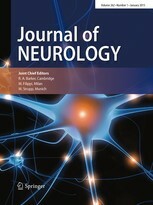 We summarize here a comprehensive literature search and the discussion at a recent international meeting of investigators involved in the development and study of visual outcomes in multiple sclerosis, which had, as its overriding goals, to review the state of the field and identify areas for future research. We review data and principles to help us understand the importance of vision as a model for outcomes assessment in clinical practice and therapeutic trials in multiple sclerosis. Review of literature exploring clinical measures of vision for patients with MS.
Abnormalities of ocular motility are common in MS. The K-D Test is sensitive to saccadic dysfunction and other eye movements. K-D scores are worse among patients with MS compared to disease-free controls. Objective: Sleep deprivation has a negative effect on neurocognitive performance. The King-Devick test (KDT),which tests speed and accuracy of number-reading, requires integrity of saccades, visual processing, and cognition. This study investigated effects of sleep deprivation in on-call residents using KDT. Methods: A prospective cohort study was conducted among 80 residents. KDT was performed at the beginning and end of an overnight call shift for the residents in the experimental group. A control group was tested at the beginning of 2 consecutive day shifts. Estimates of hours of sleep, Karolinska Sleepiness Scale (KSS)(1=extremely alert, 9=extremely sleepy), and time and accuracy of KDT were recorded. Results: 42 residents were tested before and after overnight call shifts and 38 served as controls. Change in test time differed between the groups, with the experimental group performing 0.54(SD=4.0) seconds slower after their night on call and the control group performing 2.32(SD=3.0) seconds faster on the second day, p < 0.001. This difference was larger in surgical compared to medical residents. Conclusions: Sleep deprivation was inversely correlated with neurocognitive performance as measured by KDT, with more effect on surgical than medical residents. Further research could investigate whether this test could help determine fatigue level and ability to continue working after a long shift. The K-D Test tests speed and accuracy of rapid number naming and requires saccadic integrity, visual processing, cognition, speech, and language. Especially relevant to this project, it requires intact saccadic eye movements which, in turn, require a fully functioning system of cortical structures working in tandem such as frontal eye fields and the dorsolateral prefrontal cortex. These may be prone to disruption and dysfunction from head trauma and sleep deprivation. The experimental group performed slower following their night on call, while the control group performed faster than their pre-test. This difference remained significant after adjustment for hours of sleep the night before the pre-test and for pre-test KDT scores. Adjusting for both variables together, there was a trend toward greater KDT score improvements for residents in the control group. Higher scores on the sleepiness scale prior to the pre-test were associated with more KDT score improvement in the post-test. Higher scores on the sleepiness scale in the post-test were associated with a worsening of the KDT score. Surgical residents in the experimental group had less improvement in KDT score time, slowing down on the post-test. In contrast, medical residents in the experimental group did not differ significantly in KDT score improvement from their control counterparts. Residents cognitive function can be evaluated by the K-D Test, a test that broadly assesses neurocognitive status and afferent/efferent vision and which has been used as a screening tool for certain impairments. One of the most common ways physicians currently diagnose and assess concussions and concussion recovery is using the Immediate Post-Concussion Assessment and Cognitive Test (ImPACT) . This test is a neurocognitive assessment that provides feedback based on categorical norms. It is plausible that the ImPACT, or other similar neurocognitive tests, could be a tool in measuring the effects of hypoxia on cognitive performance. Hypoxia, defined as a low partial pressure of Oxygen in the blood stream, has many similar symptoms to those noted with concussions, namely a significant decrement in cognitive performance . Repeated neurocognitive assessment is commonly used in order to diagnose concussions based on cognitive function, with the ImPACT test being the most commonly used assessment . This neurocognitive assessment is essential to understanding differences in performance and progress when used during concussion recovery. In a validation investigation of the ImPACT, researchers had 95 college varsity athletes complete baseline cognitive testing approximately 2 years apart . Subjects were concussion-free during the entirety of this investigation. The researchers in the study performed analyses on the gathered data and found that the intraclass correlation causation estimates for visual memory was 65; for processing speed it was 74 and for reaction time it was 68 . With regards to verbal memory and symptom scale, there was greater variability at 46 and 43, respectively .From these results, the researchers concluded that the cognitive performance of these college athletes remained relatively stable over the evaluated 2 year time period . These results support the notion that baseline neurocognitive testing need not be evaluated annually. An alternative to using the ImPACT for neurocognitive function assessment is the King Devick (KD) test. Recently, the KD test has been advocated as an easy way to diagnose and monitor concussion and immediate neurocognitive injury in a field setting e.g., sideline evaluation . Concussions in sport is a very real danger and additional tests like the KD test could enhance the understanding of medical professionals with regards to athlete safety.With the popularity of the ImPACT test on the rise amongst sports medicine professionals, the question has arisen regarding how the KD test would perform in comparison. Dziemianowicz et al.compared test results from the KD to ImPACT composite scores. Unlike with the ImPACT, the KD test relies on visual motor speed analysis for a rapid assessment of cognitive visual processing and performance. Most specifically, the KD test is designed around rapid number naming and pattern identification. Utilizing 35 recently concussed athletes, researchers sought to validate the KD test as a comparable diagnostic tool to the ImPACT. In the investigation, subjects completed four separate clinical visits where each time they completed a symptom test, the KD test, and the ImPACT. Researchers found that the KD test and the ImPACT test both indicated parallel improvements as symptoms continued to resolve for the patients . Researchers hypothesized that both assessments run in parallel, and are somewhat interchangeable, when using ocular motor speed tracking as the primary mechanism for monitoring recovery .With its simplicity of administration, the King Devick (KD) test allows for researchers to emphasize and evaluate the role of impaired eye movement in patients and correlate these findings with sub-optimal brain function . In this investigation, researchers administered the KD test to a group of amateur, adolescent boxers prior to, and immediately following a fight. Utilizing a single-blinded approach, third party test evaluators were given the results of the KD tests for each of the subjects and asked to evaluate the efficacy of the assessment for identifying head trauma and symptoms of concussion. Third party evaluators were able to note, with significance, a decline in performance between baseline and post-fight results given the dramatic increase in time to perform KD test, further supporting the efficacy of field-expediency in test administration . While both the ImPACT and KD test have been frequently validated to identify symptoms of concussions, research is relatively limited on the value of these tests in identifying the effects of both chronic and acute hypoxic exposure. Researchers have noted that hypoxia, or reduced arterial Oxygen saturation, can greatly impair human performance . Most often, these symptoms are associated with exposure to altitude as a direct consequence of the reduced partial pressure of atmospheric Oxygen, reducing the gradient of exchange at the level of the alveoli. With exposure to altitude, assessments should be administered on a stepwise basis, as symptoms associated with hypoxia have been shown to increase incrementally due to both increased time of exposure, and increased altitude. Bartholomew et al. recruited 72 subjects and flight instructors in aviation school to participate. Subjected were asked to read and recall a series of numbers at exposure to a variety of simulated altitudes, to include 2,000, 12,500, and 15,000 feet. Subjects were also given either high or low memory load pieces of information to recall over the radio during the evaluation . Researchers found that individuals assigned high memory load tasks demonstrated marked declines in performance with incremental exposure to altitude . These findings imply that altitude, and in effect hypoxia, influences the amount of cognitive resources available for information processing. This decline in cognitive function could greatly increase the risks associated with performance of task-related objectives in certain professions requiring altitude exposure e.g., aviation, military, etc. Researchers suggest that future investigations seek alternative mechanisms for simulating hypoxia via both altitude and exercise to identify the potential compounding effect of physical activity on exacerbating symptoms . Aside from high altitude exposure, hypoxia can also be induced by breath holding while performing physical exertion, most commonly observed in swimming and free diving. In both of these sports, hyperventilation is the primary means through which the human body can decrease Carbon Dioxide saturation in the blood, enhancing individual breath hold capacity . A dramatically reduced Carbon Dioxide concentration in the blood carries the risk of increased risk of syncope, or loss of consciousness, which could be fatal in the underwater theater. Lindholm et al  recruited 8 trained breath hold divers, half of which had previously experienced hyperventilation induced syncope, to track arterial Carbon Dioxide saturation during prolonged apnea, or breath holding, performed prior to submaximal physical activity. During this investigation, researchers tracked arterial Oxygen saturation using a beat-by-beat pulse oximeter, blood lactate concentration, and respiratory exchange ratio (RER) to track preferential macronutrient utilization following physical activity . From the findings, researchers noted that the experienced divers had a far lower partial pressure of Carbon Dioxide and Oxygen in the blood following exercise when compared to control iterations . Researchers postulated that, while there were significant differences in these metrics following exercise and hypoxic exposure relative to the controls, it was possible that the lack of familiarity with the above-water environment, may have yielded undue influence on the effects. Researchers suggested that future investigations implement cognitive assessments to be performed in both the hypoxic and control environments in this trained population to identify the potential deleterious effects of this environment on cognitive function . Finally, in response to apnea exposure in certain divers, sympathetic activity can be ameliorated with the cessation of respiration, allowing certain individuals to remain underwater for extended periods of time . Individuals whose training involves high stress environments and SCUBA insertion, such as the U.S. Army Special Forces Combat Divers and trainees at the Combat Diver Qualification Course (CDQC), train to optimize and utilize many physiological skills and adaptations . This course is extremely rigorous both physically and mentally, placing a very high demand on cardiorespiratory function. Learning to optimize performance in the hypoxic environment through optimization of the dive response with repeated apneas is critical to both training and mission success. It is possible that enhancing these adaptations to hypoxia, can be learned and better allow individuals to sustain optimal neurocognitive function, which could be assessed using the ImPACT or KD test . The K-D test has been advocated as an easy way to diagnose and monitor concussion and immediate neurocognitive injury, enhancing the understanding of medical professionals with regards to athlete safety. With its simplicity of administration, the KD test allows for researchers to emphasize and evaluate the role of impaired eye movement in patients and correlate these findings with sub-optimal brain function. The K-D Test has the potential to identify effects of both chronic and acute hypoxic exposure. Individuals whose training involves high stress environments and SCUBA insertion, such as the U.S. Army Special Forces Combat Divers and trainees at the Combat Diver Qualification Course, train to optimize and utilize many physiological skills and adaptations would could be assessed using the KD Test. Publication: North American Primary Care Research Group Annual Meeting. 2018.
patient reported symptoms such as excessive daytime sleepiness, snoring and witnessed apnea. Measuring impaired brain function caused by sleep deprivation and hypoxia could provide needed objectivity to potentially aid case finding and risk stratification and potentially demonstrate treatment effect. Over 50% of brain pathways are utilized in vision and reading. K-D Test measures speed and accuracy during a rapid number naming task in which a series of single-digit numbers is read aloud. The King-Devick Test (KDT) is a rapid number naming test used in baseline assessments and remove from play decisions for concussion. KDT is an objective physical measure of neurologic function. Abnormalities in saccadic eye movements are associated with issues frequently found in OSA patients (i.e. sleep deprivation, hypoxia and cognitive impairment). Specific Aims: 1. Test for association of subject KDT time with OSA severity, based on Apnea Hypopnea Index (AHI); 2. Evaluate for improvement in brain function after treatment with Continuous Positive Airway Pressure (CPAP) by way of KDT time. Hypothesis: OSA patients who adhere to CPAP therapy will demonstrate a statistically significant improvement in their KDT time compared to baseline. Methods: Design: Pilot study of a prospective cohort; Subjects: Patients referred to Sleep lab for initial evaluation of Sleep Disordered Breathing concerns; Sample size: 60 subjects provide adequate power to detect a 0.36 correlation coefficient between AHI and KDT time. Assuming half will have OSA which requires CPAP treatment, there would be adequate power to detect a 0.55 SD difference in KDT pre- and post-treatment. Subjects read aloud from left to right as fast as possible for 3 screens. Total time and errors are recorded. Data Collection: Collect KDT in sleep lab prior to scheduled polysomnography. Collect demographic information and data necessary for Sleep Apnea Clinical Score. Collect medical histories from Electronic Health Record. Collect sleep testing outcomes from sleep lab database. Repeat KDT for those treated with CPAP at compliance visit with Sleep Medicine provider. Descriptive analysis about demographic and clinical characteristics of the cohort are summarized by severity of OSA. Estimate correlation coefficient between KDT and AHI. Compare mean KDT between patient subgroups with the two-sample t-test with or without moderate OSA (AHI < & ‑ 15), with normal and abnormal AHI (< 5 & ‑ 5). For the OSA subgroup, measure the improvement in KDT and AHI pre and post CPAP treatment by paired t-test. 37 with CPAP recommendation, 23 with no CPAP recommendation; 35 with AHI ≥ 15 2 with AHI < 15; 22 with repeat KDT for comparison; 14 lost to follow up; 1 excluded from analysis due to dementia. OSA patients with moderate OSA (AHI score greater than or equal to 15) had worse KDT scores compared to OSA patients without moderate OSA (AHI scores less than 15) (64.9s (3.16) vs 61.0 (3.74)). OSA patients with abnormal AHI scores (greater than or equal to 5) had worse KDT scores compared to OSA patients with normal AHI scores (less than 5) (63.9 (2.92) vs. 59.6 (6.24)). There was not a statistically significant association of KDT with AHI as a continuous variable (Pearson correlation coefficient 0.10 (-0.16, 0.35). CPAP treatment was associated with significantly improved KDT time (mean difference -6.6s (12.2), p=0.02). Conclusions: The neurologic function of patients with moderately severe OSA differs from those with mild or no OSA, as determined by the King Devick Test. KDT time ranges between normal and abnormal patients, however, overlap. Clinically, patients with established neurologic illness such as MCI, Dementia and Parkinson’s have slower baseline KDT times. This may decrease the utility of OSA prediction by KDT in these patients. Larger studies are needed to assess if KDT time thresholds exist to aid OSA screening. KDT has the potential to optimize OSA risk stratification processes through demonstrating patient neurologic impairment. OSA patients treated with CPAP demonstrate improved brain function as measured by significantly faster times on KDT. Assessment with KDT has the potential to be a paradigm shifting tool in OSA patient management. Purpose: AMD is one of the leading causes of vision loss globally. Since color vision impairment is often one of the first symptoms of retinal disease, earlier AMD detection may be possible using color vision screenings. This potential detection could result in earlier treatment and decreased progression of the disease before irreversible damage to sight occurs. Methods: Patients from the Illinois Eye Institute and Chicago Eye Institute were asked to perform the King Devick Variable Color Contrast Sensitivity(VCCSC) iPad test monocularly at their best corrected near visual acuity with black, red, blue, green, and yellow letters at various contrast levels (100%,75%,50%, and 25%). Identification accuracy (out of 5 letters) was recorded as both color and contrast changed. Results: Data was analyzed using SPSS v21. All values are presented as means±SEM. The control group (n=35) age 50-79 years (46% male, 54% female). The non-exudative (NE) AMD(n=26) age 60-82 years (67% male, 33% female). A significant decrease in vision was noted in AMD patients for black 100% (C:36.0±1.7 vs AMD:109.9±21.7,p<0.001), blue 75% (C 4.4±0.2 vs AMD:4.7±0.1,p<0.028), yellow 75%(C:3.2±0.3 vs AMD:4.1±0.3,p<0.023), and blue 50%(C:4.1±0.2 vs AMD:4.6±0.1,p<0.045) contrast letters compared to the control. Interestingly, difficulty reading all colors at 25% contrast was similar between AMD and control patients. Conclusions: Our results show that there is greater variability in color vision and color contrast in NE-AMD patients compared to healthy patients. Specifically, blue and yellow seem to be more difficult for AMD patients. Further testing is needed to determine what threshold of color and contrast best distinguishes AMD with the potential to detect AMD at an earlier stage and initiate more effective treatment. The tablet-based K-D Variable Contrast Sensitivity Chart was used to measure color contrast sensitivity in patients with age-related macular degeneration (AMD). AMD patients demonstrated significantly worse vision under conditions of 100% black, 75% blue, 75% yellow and 50% blue letter presentations. There is greater variability in color vision and contrast acuity in AMD patients. This tool is useful in measuring visual function deficits and differentiating controls from AMD patients. Objective: To evaluate visual acuity at high and low contrast with five distinct colors (red, green, blue, yellow, and black) in Parkinson’s disease (PD) patients and controls using an iPad application. Background: Changes in color vision and contrast sensitivity are a non-motor feature of PD. These changes can have a significant impact on activities such as driving and walking in low-light condition. Design/Methods: Subjects were recruited from Mayo Clinic Arizona and the Arizona Study of Aging and Neurodegenerative Disorders. A movement examination, including the Movement Disorders Society Unified Parkinson’s Disease Rating Scale, was recorded on the day of vision testing. Visual acuity was tested with the Variable Contrast Acuity Chart (King-Devick Test LLC, Oakbrook Terrace, IL) on an Apple iPad 2. Subjects were tested at a comfortable reading distance (40 cms) using five distinct colors (red, green, blue, yellow, and black) at low (2.5%) and high (100%) contrast. Results: 36 patients with PD (mean age 68 years) and 36 control subjects (mean age 72 years) were studied. The mean disease duration of PD was 6.4 ± 4.6 years, Hoehn and Yahr staging was 2.0 ± 0.6, MDS-UPDRS part II was 11.7 ± 7.0 and part III was 24.5 ± 9.9. After adjusting for age and gender, PD patients had significantly (p<0.05) lower scores at high (100%) as well as low (2.5%) contrast for all five colors tested except for yellow at low contrast (2.5%) (p=0.10). Conclusions: PD patients have significantly reduced visual acuity for all the colors tested at various levels of contrast (except for yellow at low contrast) compared to controls. This test can serve as a useful tool for assessing vision in PD and has potential for being a biomarker to differentiate PD from controls. Visual sequelae of Parkinson’s Disease can have a significant impact on activities of daily living. In this study utilizing the tablet-based K-D Variable Contrast Sensitivity Chart, Parkinson’s Disease patients have worse visual acuity at both high (100%) and low (2.5%) contrast under colors black, red, blue and green. The K-D Variable Contrast Sensitivity Chart is a useful tool for assessing visual function in PD and has a biomarker to differentiate PD from controls. Introduction: Resident sleep deprivation is an important topic given its negative effect on neurocognitive performance. The King-Devick test (KDT), which tests speed and accuracy of number-reading, requires integrity of saccades, visual processing, and cognition. The purpose of this study is to investigate neurocognitive effects of sleep deprivation in on-call residents using KDT. Methods: A prospective, cohort study was conducted among 80 residents (PGY2-4) from multiple departments of an urban teaching hospital. KDT was performed at the beginning and end of an overnight call shift for the residents in the experimental group. A control group was tested at the beginning of 2 consecutive day shifts. Estimates of hours of sleep, Karolinska Sleepiness Scale (KSS) (1=extremely alert, 9=extremely sleepy), and time and accuracy of KDT, the primary outcome variable, were recorded. We performed t-test, regression analysis, and correlation analysis. Statistical significance was set at p<0.05. Results: 42 residents were tested before and after overnight call shifts and 38 served as controls. Mean age and gender breakdown were similar between groups: age 28.95 years (standard deviation (SD)=2.49) in experimental group and 29.84(SD=3.36) in controls (p=0.18); 47.6% female in the experimental group and 47.4% in controls (p=0.98). Change in test time was significantly different between the groups, with the experimental group performing 0.54 (SD=4.0) seconds slower after their night on call and the control group performing 2.32 (SD=3.0) seconds faster on the second day, p<0.001. Residents reporting more sleep the night between the two tests had greater improvement in their test times (Pearson r=-0.31, p=0.005). Residents reporting more sleepiness on the KSS had less improvement in their test time (r=0.25, p=0.027). Conclusion: Sleep deprivation and self-reported sleepiness were inversely correlated with neurocognitive performance as measured by KDT. More research is required to determine whether this test could help determine resident fatigue or ability to continue working after a long shift. Sleep deprivation and self-reported sleepiness using the Karolinska Sleepiness Scale were correlated with worse performance on KDT. OBJECTIVE: To detect an alteration in central nervous system function using KDT and VCS by demonstrating a difference during a migraine attack compared to the inter-ictal (between attack) phase. BACKGROUND: Migraine is characterized by head pain and other symptoms such as photophobia, cognitive dysfunction and alterations in visual contrast during attacks. The KDT is a timed rapid number naming test that evaluates saccadic eye movements, attention, information processing, and is highly sensitive to altered cerebral function. For VCS, participants are asked to read rows of letters of varying size on an iPAD with low contrast level to the background. KDT and VCS have been shown to correlate with neurologic dysfunction in various neurological diseases. DESIGN/METHODS: We included adult subjects with episodic or chronic migraine with or without aura (less than 25 headache days/month). We enrolled on-site Mayo employees, and the KDT and VCS were performed by the same examiner to minimize bias. For each participant, we performed KDT and VCS testing during headache phase of migraine attack, and inter-ictal non-headache phases. Power analysis suggests a sample size of 26 subjects is needed to detect an effect size of 0.8 for both KDT and VCS, with an 80% power and a significance level at 0.05. Subjects served as their own controls. RESULTS: We collected data on 28 subjects. There was a statistically significant difference in the performance of KDT during a migraine attack compared to the interictal baseline. On average, the KDT score was 6.3 seconds longer during the migraine attack compared to the interictal baseline performance. For VCS (both 100% and 2.5% contrast sensitivity), there was no significant difference between the migraine attack and the interictal baseline. CONCLUSIONS: This study provides objective quantitative data demonstrating altered cerebral function during migraine attacks. Saccadic eye movements may serve as a biomarker for a migraine attack. The KDT could be an effective tool to understand migraine pathophysiology, document the true interictal state, as well as to characterize migraine associated disability during and between attacks. Publication: Investigative Ophthalmology & Visual Science June 2017, Vol.58, 1330. Purpose: Parkinson’s Disease(PD) is the second most common neurodegenerative disease globally. As many as 78% of PD patients report difficulty with vision and reading, but few studies have directly examined reading in PD patients. The goal of this study is to better assess visual disability and reading difficulties in PD patients. Methods: We recruited 112 subjects (59 PD, 53 age-matched controls) per approved protocol at a single academic institution. All subjects were assessed using the Visual Function Questionnaire (VFQ-25), Neuro-Ophthalmic(NO-10) supplement, and King-Devick (KD) rapid number naming test. We performed 500-Hz 2D infrared oculography (RED500, SMI, Germany) on a subset of subjects (21 PD and 14 controls) during reading (8 pages of single digit numbers at 40/page and 14 pages of words, 3-8 lines/page). Statistical analysis was performed using Mann-Whitney U test. fixations, and greater fixation dispersion. recording revealed that fixation and saccade measurements are both significantly affected during reading, with some patients exhibiting poor oculomotor planning and backtracking. The etiology of reading difficulty in PD patients is likely multifactorial in origin, and neuro-ophthalmic assessments of PD patients should include examination of reading. Eye movements during reading are significantly affected in Parkinson’s disease. K-D Test performance is significantly worse in Parkinson’s patients compared to normal controls, specifically, PD patients were 24% slower. K-D Test performance correlates with vision related disability measures. Background: Multiple sclerosis is an autoimmune demyelinating disease with estimates of cognitive impairment above 30% in pediatric and 50% in adult patients. The SDMT, a widely-used screening tool that measures speeded information processing, has been used to track cognitive decline in MS. The K-D test is a brief measure of saccadic eye movement speed using a timed number naming test, commonly used for the detection of mild traumatic brain injury. Here, we tested the sensitivity of the K-D test in MS and its association with performance on the SDMT. Design/Methods: Adult and pediatric patients with clinically-definite MS were consecutively recruited through the NYU Langone MS Comprehensive Care Center. All participants completed the SDMT and K-D at a single visit. Results: A total of 30 participants completed the assessments ranging in age from 13 to 72 years (mean 38 ± 19 years), were 74% female, and with an EDSS range 0.0 to 6.5. Relative to age normative data, the K-D indicated greater impairment than the SDMT (74% vs. 48%, respectively). Controlling for age, both tests were significantly correlated (r=0.44, p =0.02), demonstrating a close contribution of oculomotor function to SDMT performance. Conclusions: The K-D test is sensitive to detecting impairment in MS across the lifespan. Performance on the SDMT is closely associated with oculomotor function in MS.
K-D Test is sensitive to detecting impairment in MS across the lifespan. K-D Test performance is correlated with SDMT performance demonstrating close contribution of oculomotor function. The King–Devick test (K–D) is sensitive to the effects of acute sleep deprivation. It remains unclear whether the K–D is sensitive to the effects of chronic partial sleep restriction (SR). K–D performance was compared in a college student sample at baseline and after a week of SR. Subjects also completed measures of attention, processing speed, working memory, vocabulary and verbal reasoning. Subjects performed worse relative to their baselines on the K–D than previous test–retest reliability literature indicates, and worse on tests of attention, processing speed and working memory. Verbal reasoning and vocabulary were unaffected. 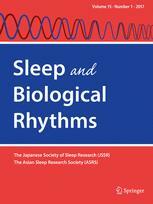 An association between K–D performance and sleep duration during SR trended toward significance. These results provide initial support for the sensitivity of the K–D to SR. The King-Devick Test is a reliable, easy-to-administer and cost-effective assessment of visual scanning. This study aimed to assess whether the K-D is sensitive to the effects of sleep restriction and whether performance on the K-D is associated with other cognitive abilities typically affected by sleep restriction and is less association with cognitive abilities that are less affected. Changes in performance on the K-D were associated with changes in performance on other clinical measures of abilities associated with sleep restriction, including working memory, executive functioning and sustained attention. There was a trend for performance on the K-D to be associated with the patient self-report measure of night-by-night sleep quantity. In the current study, sleep restricted subjects took a mean of 4.8s longer from K-D baseline. Changes in K-D performance were related to changes in performance of executive functioning. These findings suggest that sleep restriction affects a variety of cognitive domains and that the K-D may be sensitive to one or more of these domains. Purpose : Vision difficulties have been well described in patients with Parkinson’s Disease (PD), but the etiologies underlying PD patients’ difficulties in performing functional tasks like reading are not well understood. In this study, we performed clinical and infrared oculography studies of reading in PD in order to better delineate the causes. Methods : We performed a prospective cross-sectional study of 23 treated patients with PD and 25 controls with no known visual symptoms. We assessed subjective visual disability using the National Eye Institute Visual Function Questionnaire (VFQ-25) (n=16), measured reading speed using a rapid number naming task called the King-Devick test (n=23), and further analyzed ocular motor behavior during reading in PD patients with good visual acuity using 500-Hz infrared oculography (RED500, SensoMotoric Instruments) (n=9). Stimuli included fixation, number-reading, and word-reading tasks. Statistical analysis was performed using the Mann-Whitney test (Prism). Results : PD patients reported decreased visual function with a mean VFQ-25 score of 81±3.6 (n=16), and 56% had moderate or extreme difficulties with near activities. Using the King-Devick (KD) test, we found that PD patients were significantly slower readers than age-matched controls (PD: 68.3±6.5s, ctrl: 48.8±2.4s, p = 0.009), which correlated with subjective decrease in near activity on VFQ-25 (r2=0.49). On infrared oculography, PD patients had significantly slower number reading speed (PD: 100.2 ±12.1 numbers per minute (npm), ctrl: 145.0±20.6 npm, p=0.05) and word reading speed (PD: 135.3±15.1 words per minute (wpm), ctrl: 230.2±21.0 wpm, p=0.01). The slower reading was attributable to more frequent (PD: 6.6±0.3 saccades/line, ctrl: 4.9±0.1 saccades/line, p=0.08) and smaller saccades, more regressions (PD: 9.1%, ctrl: 5.3%, p=0.05), and longer fixations (PD: 266±13 ms/line, ctrl: 233±14 ms/line, p=0.05). Conclusions : The majority of treated PD patients reported visual disability, especially with reading and near work which correlated with worse performance on a rapid number reading task. Using infrared oculography to study reading behavior, we found that PD patients exhibited abnormalities in saccades, fixations, and reading behavior, which were attributable to ocular motor abnormality, impaired ocular motor planning, and cognitive dysfunction. 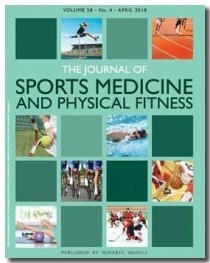 Publication: J Parkinsons Dis. 2015;5(1):125-130. Background: Low-contrast vision is thought to be reduced in Parkinson’s disease (PD). This may have a direct impact on quality of life such as driving, using tools, finding objects, and mobility in low-light condition. 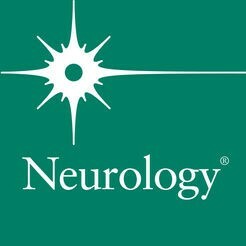 Low-contrast letter acuity testing has been successful in assessing low-contrast vision in multiple sclerosis. We report the use of a new iPad application to measure low-contrast acuity in patients with PD. Objective: To evaluate low- and high-contrast letter acuity in PD patients and controls using a variable contrast acuity eye chart developed for the Apple iPad. Methods: Thirty-two PD and 71 control subjects were studied. Subjects viewed the Variable Contrast Acuity Chart on an iPad with both eyes open at two distances (40 cm and 2m) and at high contrast (black and white visual acuity) and 2.5% low contrast. Acuity scores for the two groups were compared. Results: PD patients had significantly lower scores (indicating worse vision) for 2.5% low contrast at both distances and for high contrast at 2m (p < 0.003) compared to controls. No significant difference was found between the two groups for high contrast at 40 cm (p = 0.12). Conclusions: Parkinson’s disease patients have reduced low and high contrast acuity compared to controls. An iPad app, as used in this study, could serve as a quick screening tool to complement more formal testing of patients with PD and other neurologic disorders. High contrast and low contrast visual acuity was measured in individuals with Parkinson’s Disease (PD) and compared to controls. Contrast acuity was measured with the King-Devick Variable Contrast Acuity Chart as an application on an iPad. PD patients had significantly worse low contrast visual acuity (2.5% at 40 cm and 2 m) and worse high contrast acuity at far (100% at 2 m), compared to those without PD. Low contrast acuity scores correlated with disease severity. The K-D Variable Contrast Acuity Chart provides a portable, adjustable, quantitative measure of contrast visual acuity, and may reveal undiagnosed visual impairment in patients with PD, along with a use in monitoring PD severity. 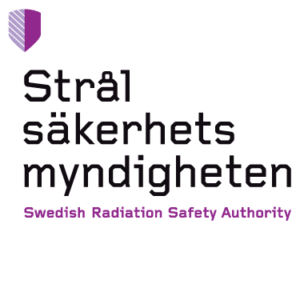 Background: The Swedish nuclear power plant Forsmarks Kraftgrupp AB (FKA) reported that they wanted to use a fi re prevention method by reducing the oxygen level down to 15% in some locations. The personnel are only going to work there for a limited number of hours. This fire protection method has never been used before in any nuclear power plant in spaces where people work. The background to the study was the lack of comparable, sufficiently relevant scientific literature on the topic of whether cognitive ability deteriorates or not when the oxygen (O2) level is reduced from the normal level (21%) to 15%, without habituation. SSM needed more knowledge of whether the cognitive abilities of the personnel could be affected in a negative way. The goal of the study was to provide SSM with the basis for oversight. Objectives: The study was divided into two parts, a literature study and an experimental part. The phenomenon studied was comparable to the situation at the nuclear power plant. The persons involved in the experimental phase were exposed to a change from normal oxygen level to a reduced oxygen level without having time to adapt. The exposure to 15% oxygen was 2 h during the first exposure, 2 h during the second exposure and 45 min during the third and final exposure. Results: The literature review primarily identified evidence that the effects on cognitive performance due to hypoxia at 15% O2, if any, would be small. A few researchers have reported findings that support adverse effects on cognitive performance already at 16-15% O2 concentration. In support of the hypothesis that no adverse effects on cognitive performance could be observed under conditions studied, there were no significant decreases in cognitive performance as a result of exposure to the experimental conditions with 15% O2. This study was clearly delineated and several possible influencing aspects were not included. Therefore, we cannot rule out possible interaction effects, with negative impact on cognitive ability, between hypoxia and other factors such as diseases, medication and drugs, concussion history, or other aspects of air quality. Need for further research: There are several aspects of this research that should be of interest for further research by the nuclear industry. There were no statistically significant differences in performance on the K-D test across baseline (normal room air) and the three exposures to the experimental condition (nitrogen-balanced breathing gas mixture of 15% O2). K-D test results across the total of 16 test occasions showed the largest performance change occurring between the first and second test occasion. BACKGROUND: Afferent visual system disorders are included in the phenotypic spectrum Amyotrophic Lateral Sclerosis (ALS). High and low contrast visual acuity (HCVA and LCVA) are potential quantitative clinical markers of this dysfunction. Gold standard clinical research protocols for HCVA and LCVA measurements are difficult to implement in a neurology clinic. Pinhole is a possible substitute for refraction, which is time consuming requiring specialized equipment and personnel. Charts presented on tablets are a potential substitute for retro-illuminated charts, which are bulky and less readily available. The purpose of this study is to evaluate the effect of substituting pinhole for refraction and tablet charts for retro-illuminated charts on HCVA and LCVA in ALS patients. DESIGN/METHODS: Monocular HCVA and 2.5% LCVA were measured at 2m in 8 ALS subjects using two chart conditions (retro-illuminated Sloan charts, iPad presented charts) and two correction conditions (spherical refraction, pinhole). Number of letters correctly identified was compared between chart condition and between correction conditions. Differences less than 5 letters (1 line) were considered comparable. RESULTS: HCVA was comparable between correction conditions and between chart conditions for 6/8 (75%) and 7/8 (88%) subjects respectively. LCVA was comparable between correction conditions and between chart conditions for 3/8 (38%) and 6/8 (75%) respectively. In comparable values favored pinhole for HCVA and spherical refraction for LCVA. CONCLUSIONS: In this pilot study, we find that HCVA and LCVA tablet presented charts produce comparable measurements to gold standard retro-illuminated charts in greater than 75% of ALS subjects. Pinhole correction is comparable to spherical refraction for measurements of HCVA but not LCVA. HCVA measurements with pinhole and tablet charts are less burdensome for ALS patients and research staff without sacrificing accuracy. Pinhole is not a suitable modification for LCVA measurements. Compared the King-Devick Contrast Acuity Chart to the retro-illuminated Sloan chart in patients with ALS. High and low contrast visual acuity was comparable between the two chart types. The K-D Contrast Acuity Chart demonstrated an accurate measurement of contrast acuity, with the benefit of both portability, illumination, and availability compared to retro-illuminated charts. BACKGROUND: ADHD is the most prevalent pediatric neurodevelopment disorder. In the United States, it is estimated that 5.4 million children 6 and 17 years of age (or 9.5% of U.S. children) have received an ADHD diagnosis. The King-Devick (K-D) test is a vision-based test of rapid number naming that requires saccades and visual processing. In sideline studies of youth and collegiate athletes with concussion, the K-D test consistently demonstrates higher (worse) time scores post-injury compared to pre-season baseline scores. There is growing evidence that, like concussion and mild traumatic brain injury, ADHD may be associated with visual pathway dysfunction. PURPOSE: Using the King-Devick (K-D) test, a vision-based test of rapid number naming that requires saccades and visual processing. We investigated whether children with ADHD has worse scores compared to similar aged controls. METHODS: Design: Prospective study of children with ADHD (diagnosed by Conners Scale and NYU pediatric neurologist) and age-matched controls. Participants: Patients diagnosed with ADHD (5-21 years of age) seeking care from the NYU Neurology Faculty Group Practice and Child Study Center. Analyses compared K-D scores of patients with ADHD to those of pre-season baseline scores for student-athletes controls category matched for age and gender. King-Devick Test: a vision-based measure of rapid number naming that varies the spacing between numbers on successive cards. RESULTS: Among 134 participants in this study, ADHD vs. control status was significantly associated with higher K-D test time scores (p<0.001, logistic regression models, accounting for age). K-D showed a greater capacity to distinguish ADHD vs. control groups in youths older than 11 years of age (ROC curve areas from logistic regression models was, 0.55 for youths ≤11 years of age and 0.79 for youths ≥11 years of age). Patients with ADHD took an average of 14 seconds longer to complete the K-D test, compared to control youth (p<0.001, two-sample t-test). Use of stimulant medications was not associated with differences in K-D time scores within the cohort of patients with ADHD (p > 0.05, best KD trial of ADHD on Rx vs. best KD trial of ADHD off Rx). CONCLUSIONS: Visual pathways may perform or be utilized differently in youths with ADHD compared to controls. This alteration in visual performance on the K-D test in youths with ADHD is likely due to the widespread distribution of brain pathways devoted to vision (approximately 50% of the brain’s circuits). The limited capacity of the K-D to distinguish ADHD in youths younger than 11 years of age may be due to variations in reading ability in this age group. Use of stimulant medication was not associated with altered K-D test performance. Investigated if there was a difference in the King-Devick Test of rapid number naming in subjects (ages 5-21) with ADHD verses those without. Subjects with ADHD showed significantly worse K-D scores compared to the controls. The K-D Test demonstrated a greater capacity to distinguish ADHD vs. control groups in youths older than 11 years of age (ROC curve areas from logistic regression models was, 0.55 for youths ≤11 years of age and 0.79 for youths ≥11 years of age). Patients with ADHD took an average of 14 seconds longer to complete the K-D test, compared to control youth (p<0.001, two-sample t-test). ADHD medication was not associated with differences in K-D scores within the cohort. Since ADHD is a neuro-development disorder and more than 50% of the brain is devoted to vision, the K-D Test highlights aspects of vision which may be affected by ADHD. Publication: J Neurol Sci. 2014;343(1-2):105-109. OBJECTIVE: We investigated the King-Devick (K–D) test of rapid number naming as a visual performance measure in a cohort of patients with multiple sclerosis (MS). METHODS: In this cross-sectional study, 81 patients with MS and 20 disease-free controls from an ongoing study of visual outcomes underwent K-D testing. A test of rapid number naming, K-D requires saccadic eye movements as well as intact vision, attention and concentration. To perform the K-D test, participants are asked to read numbers aloud as quickly as possible from three test cards; the sum of the three test card times in seconds constitutes the summary score. High-contrast visual acuity (VA), low-contrast letter acuity (1.25% and 2.5% levels), retinal nerve fiber layer (RNFL) thickness by optical coherence tomography (OCT), MS Functional Composite (MSFC) and vision-specific quality of life (QOL) measures (25-Item NEI Visual Functioning Questionnaire [NEI-VFQ-25] and 10-Item Neuro-Ophthalmic Supplement) were also assessed. RESULTS: K-D time scores in the MS cohort (total time to read the three test cards) were significantly higher (worse) compared to those for disease-free controls (P = 0.003, linear regression, accounting for age). Within the MS cohort, higher K-D scores were associated with worse scores for the NEI-VFQ-25 composite (P < 0.001), 10-Item Neuro-Ophthalmic Supplement (P < 0.001), binocular low-contrast acuity (2.5%, 1.25%, P < 0.001, and high-contrast VA (P = 0.003). Monocular low-contrast vision scores (P = 0.001-0.009) and RNFL thickness (P = 0.001) were also reduced in eyes of patients with worse K-D scores (GEE models accounting for age and within-patient, inter-eye correlations). Patients with a history of optic neuritis (ON) had increased (worse) K-D scores. Patients who classified their work disability status as disabled (receiving disability pension) did worse on K-D testing compared to those working full-time (P = 0.001, accounting for age). CONCLUSIONS: The K-D test, a < 2 minute bedside test of rapid number naming, is associated with visual dysfunction, neurologic impairment, and reduced vision-specific QOL in patients with MS. Scores reflect work disability as well as structural changes as measured by OCT imaging. History of ON and abnormal binocular acuities were associated with worse K-D scores, suggesting that abnormalities detected by K-D may go along with afferent dysfunction in MS patients. A brief test that requires saccadic eye movements, K-D should be considered for future MS trials as a rapid visual performance measure. The K-D Test captures visual dysfunction, vision specific quality of life and neurology impairment in MS.
K-D scores correlated with work disability and retinal structural changes. History of optic neuritis and abnormal binocular visual acuity, common ocular complications of MS, were associated with worse K-D scores. Findings support the K-D Test as a rapid visual performance measure for MS trials. 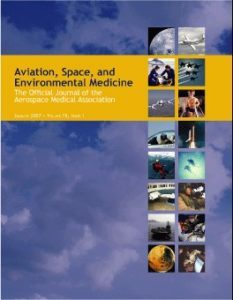 Publication: Aviat Space Environ Med. 2014; 85:700-7. Introduction: Visual performance impairment after hypoxia is well recognized in military and civilian aviation. The aims of this study were: 1) to assess oculometric features such as blink metrics, pupillary dynamics, fixations, and saccades as cognitive indicators of early signs of hypoxia; and 2) to analyze the impact of different hypoxic conditions [ “ hypoxic hypoxia” (HH) and “ isocapnic hypoxia” (IH)] on specified oculometrics during mental workloads. Methods: Oculometric data were collected on 25 subjects under 3 conditions: normoxia, HH (8% O 2 + balance N 2 ), and IH (7% O 2 + 5% CO 2 + balance N 2 ). The mental workload task consisted of reading aloud linear arrays of numbers after exposure to gas mixtures. Results: Blink rates were significantly increased under hypoxic conditions (by +100.7% in HH and by +92.8% in IH compared to normoxia). A faster recovery of blink rate was observed in transitioning from IH (23.6% vs. 76.3%) to normoxia. The percentage change in pupil size fluctuation was increased under HH more than under IH (29% vs. 4.4%). Under HH average fixation time and target area size were significantly higher than under IH. Total saccadic times under hypoxic conditions were significantly increased compared with normoxia. Conclusions: These results suggest that oculometric changes are indicators of hypoxia, which can be monitored using compact, portable, noninvasive eye-tracking devices in a cockpit analogous environment to detect hypoxia-induced physiological changes in aircrew. Comparative results between HH and IH support the potential role of carbon dioxide in augmenting cerebral perfusion and hence improved tissue oxygen delivery. Investigated oculometric tests as cognitive indicators of early signs of hypoxia. Blink rates increased, pupil size fluctuations increased, higher fixation time and target area size, and worse King-Devick Test scores were measured under hypoxic conditions (HH 8% O 2 + balance N 2) verses normoxia. The K-D Test measures saccadic function, which may be a reliable marker in neuro-physiological changes induced by hypoxia, and useful in assessing early signs of hypoxia prior to cognitive impairment. Publication: Neurorehabil Neural Repair. 2014 Nov-Dec;28(9):856-73. Background: Unilateral spatial neglect (USN) is a visual-perceptual disorder that entails the inability to perceive and integrate stimuli on one side of the body, resulting in the neglect of one side of the body. Stroke patients with USN present with extensive functional disability and duration of therapy input. Objective: To determine the effect of saccadic eye movement training with visual scanning exercises (VSEs) integrated with task-specific activities on USN poststroke. Methods: A matched-pair randomized control trial was conducted. Subjects were matched according to their functional activity level and allocated to either a control (n = 12) or an experimental group (n = 12). All patients received task-specific activities for a 4-week intervention period. The experimental group received saccadic eye movement training with VSE integrated with task specific activities as an “add on” intervention. Assessments were conducted weekly over the intervention period. Results: Statistical significant difference was noted on the King-Devick Test (P = .021), Star Cancellation Test (P = .016), and Barthel Index (P = .004). Conclusion: Intensive saccadic eye movement training with VSE integrated with task-specific activities has a significant effect on USN in patients poststroke. Results of this study are supported by findings from previously reviewed literature in the sense that the effect of saccadic eye movement training with VSE as an intervention approach has a significant effect on the visual perceptual processing of participants with USN poststroke. The significant improved visual perceptual processing translate to significantly better visual function and ability to perform activities of daily living following the stroke. Post-stroke patients with visual-perceptual dysfunction underwent 4 weeks of visual scanning exercises. The King-Devick Test was used to evaluate saccadic eye movement function pre- and post-training. There was a significant difference in K-D Test scores following training. The K-D Test is a useful clinical tool in monitoring progress in patients with visual difficulties following a stroke. 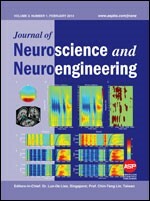 Publication: J Neurosci Neuroeng. 2014; 3(1): 1-11. Cognitive impairment in amyotrophic lateral sclerosis (ALS) is associated with cortical changes beyond the motor cortex. The overall goal of this project is to determine if task induced hemodynamic changes detected by functional near infrared (fNIR) spectroscopy from the anterior prefrontal cortex (PFC) has discriminant validity across ALS (n = 17) patients and matching healthy (n = 17) controls. The experimental protocol was composed of the King-Devick Test, the Number Interference Test and a Continuous Performance Test targeting a range of cognitive domains including sustained attention and executive function. Results indicate that fNIR measures provided significant differences between ALS and healthy controls in all three tasks providing an additional metric for the assessment of cognitive decline. Although this is a pilot study, given the safe, wearable and real world validity of fNIR, these results may set the foundation for the use of fNIR as a clinical tool in monitoring progression of neurocognitive decline in a simple, less invasive and objective manner than allowed by current imaging technology. Researchers utilized the King-Devick Test as a measure for evaluating the significance of functional near infrared spectroscopy of the brain for patients with ALS. K-D Test scores were significantly worse in the ALS group verses controls. The K-D Test captures impairment of eye movements, attention, language, and other correlates of suboptimal brain function in ALS.